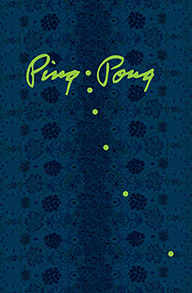 Ping-Pong Free Press brings together a spectrum of influences and combines them with an ecological social perspective on the nature of art and the human predicament. We are committed to promoting artists we firmly believe in, and sharing our enthusiasm for their work with a wider audience. The Henry Miller Memorial Library is a repository of natural beauty in an accessible public space. We are also interested in publishing writing with a radical environmental stance, perched as we are on the edge of the continent with condors flying overhead flipping the bird to extinction. The Henry Miller Memorial Library champions the literary and artistic legacy of Henry Miller, naturally his legacy goes beyond his own writing. We may not have even known about Miller had it not been for Anaïs Nin. Miller existed at the peripheries of American literature, but his sources, and his influence, extend far beyond this country, to the international literary avant-garde. Miller was and is as much an international literary figure as he was/is an American one. Ping-Pong Free Press supports many poets, writers, artists, filmmakers, musicians, and photographers. These artists are part of varied communities: LGBTQ, people of color, and the under-represented—some of whom would never have found a voice in the mainstream, like Henry, like Anaïs. The editors of PPFP are committed to preserving Miller’s legacy with an eye toward honoring communal, non-materialistic values and seeking excellent work that exemplifies this point of view. and who, above all, wanted to bring into the light writing and literature that troubled the elite, Ping Pong Free Press will quite simply seek to publish the best work out there. Howl Happening Gallery, New York City! 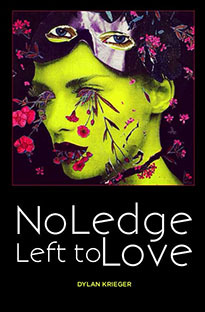 Ping-Pong Free Press and the Henry Miller Memorial Library are proud to announce the publication of No Ledge Left to Love by Dylan Krieger. Winner of the Ping-Pong Free Press poetry prize 2018. Award-winning poet and translator Brian Henry served as judge. New York Times Review of books: “Dylan Krieger’s “Giving Godhead” will be the best collection of poetry to appear in English in 2017.” We here at Ping-Pong Free Press believe No Ledge Left to Love will be the best of 2018. —Brian Henry, contest judge, author of 10 books of poetry, most recently, Static and Snow. –Janaka Stucky’s poetry collection, The Truth Is We Are Perfect, was chosen by Jack White’s newly-fledged imprint, Third Man books as their inaugural title. Dylan Krieger is an automatic meaning generator in south Louisiana, where she lives with a feline reincarnation of Catherine the Great and sunlights as a trade mag editor. She is a graduate of the University of Notre Dame and Louisiana State University, where she won the Billy Maich Academy of American Poets Prize and the Robert Penn Warren Award, respectively. 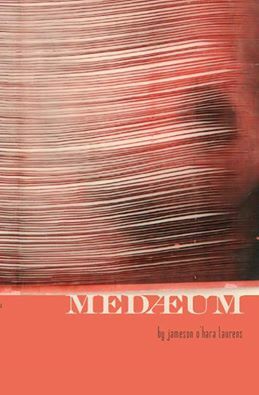 Her debut poetry collection, Giving Godhead (Delete Press, 2017), was dubbed “the best collection of poetry to appear in English in 2017” by the New York Times Book Review. She is also the author of dreamland trash (Saint Julian Press, 2018) . Find her at www.dylankrieger.com. Dylan Krieger is a philosopher, there is no doubt about that, and with a typical philosopher’s bravado she takes an analytical exacto knife to the problems of our world. What does she find? Crony Capitalism and systems of oppression and dominance instituted by heterosexual upper class white males in order to keep their hegemony on power. She speaks to us as the voice of the zeitgeist of America, a Greek chorus we have ignored for far too long. And the Greek influence is subtly present, almost undetectable. The metric and rhyme scheme she makes use of will remind readers of the epic poems of old. And this is a new epic poem– not only because it makes deft use of rhyme and pattern–see quantum immortality–but because it traces the heroine’s journey from darkness into an even greater darkness. The Odyssey is the story of the last hero from the Greek age of Heroes, No Ledge Left to Love is the story of humanity’s last age. Imbued with philosophical concepts and wit–Krieger’s tour de force is a trumpet call, but only for those who will hearken to it. Now the question is, will you? River Atwood Tabor author of Tumbleweed Migration and Haunted by Waters. 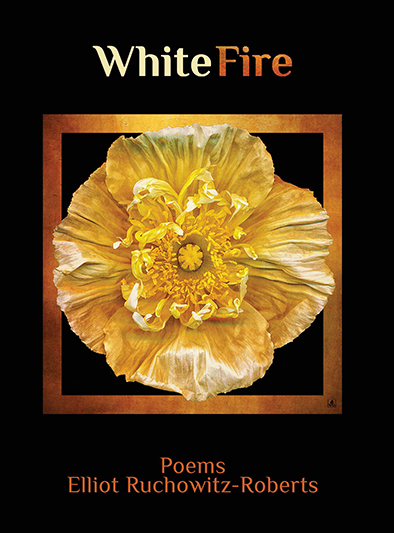 Ping Pong Free Press and the Henry Miller Library are proud to announce the publication of "White Fire" by Elliot Ruchowitz-Roberts! A Suitcase of Russian Poems, versions by Ilya Kaminsky and Katie Farris. 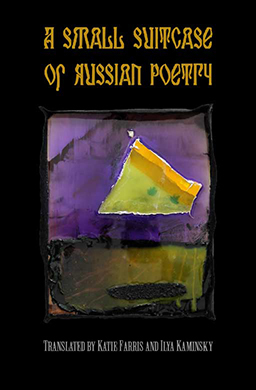 Our first release was published in April 2016 and is a small anthology of Russian poems in translation.